The chairman of the Melanesian Spearhead Group, Manasseh Sogavare, says the regional body is pushing for an urgent intervention by the United Nations in West Papua. 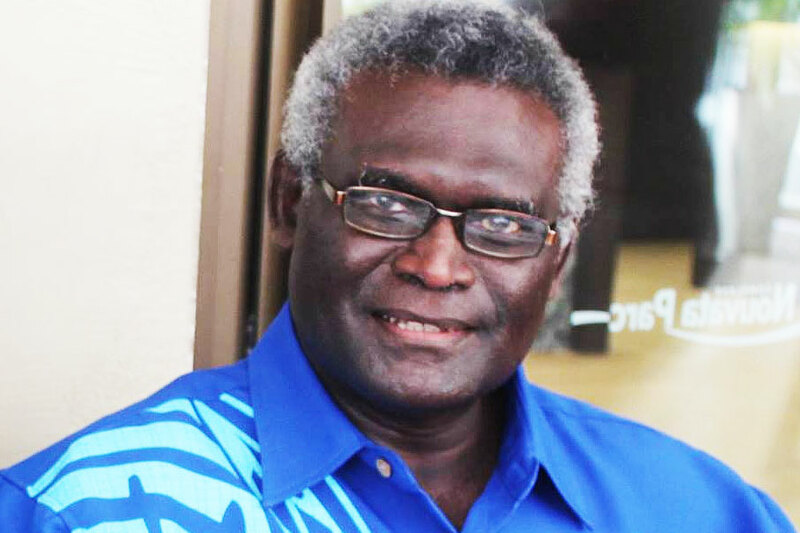 Mr Sogavare, who is the prime minister of Solomon Islands, has also declared his country's support for the United Liberation Movement for West Papua's bid to be a full member of the MSG. Mr Sogavare has just been in Port Vila where he met with his Vanuatu counterpart Charlot Salwai whose proposal to give the Liberation Movement full membership at the MSG is to be discussed at an upcoming MSG leaders summit in Papua New Guinea. While in Vila, the MSG chair met with visiting representatives of the Liberation Movement which has strong support in Indonesia's Papua region. Since the West Papuans were granted observer status in the MSG last year, Mr Sogavare said the situation in Indonesia's Papua region had become more tense, leaving the indigenous people on the "brink of extinction". This comes after Indonesia's leading human rights organisation said that since the new government came to power in late 2014, abuses in Papua were as rampant as they were under previous governments. Indonesia was granted MSG associate member status last year in a bid to foster dialogue with Jakarta on West Papua. However, in a statement, Mr Sogavare censured Jakarta for rebuffing his his request for dialogue on Papua. 'Indonesia has crossed the line so we need to take some tough stance," he said. A recent surge in Indonesian diplomatic overtures to Pacific Islands countries is increasingly seen as being about countering the growing regional support for West Papuan self-determination aspirations. However Melanesian leaders are frustrated at Jakarta's apparent aversion to meaningful dialogue about West Papua. The Indonesian President Joko Widodo's refusal to meet with Mr Sogavare in his capacity as the MSG chair has been proffered as grounds for the Melanesian states to "take the matter up to the next notch which is the United Nations". Mr Sogavare said as well as the membership bid, the MSG summit would address the group's pursuit of UN action on what he called "genocides committed against humanity in West Papua by Indonesia". While Solomon Islands, Vanuatu and New Caledonia's Kanaks have signalled support for West Papua's membership bid, it remains uncertain where the other two full MSG members - Fiji and PNG - stand. Governments of both countries have closer ties with Indonesia than the others, and Jakarta has recently said that it has support of the Fiji and PNG for its own bid for full MSG membership. Vanuatu appeared to counter that when prime minister Salwai suggested Indonesia should be stripped of its membership status within the MSG. The West Papua issue continues to be a stern test of MSG unity. The upcoming MSG leaders summit was already shadowed by division among the members of the appointment of a new director-general. Last month Papua New Guinea and Vanuatu objected to confirmation by the MSG chairman that the Fiji diplomat Amena Yauvoli had been selected for the role, which has been vacant since last year. Earlier, it came as a surprise to other MSG members that the Fiji Foreign Minister Ratu Inoke Kubuabola announced Mr Yauvoli's appointment to media, when the formal selection process was still underway. The MSG summit, originally scheduled for the first week of May in Vanuatu, was supposed to be when the leaders deliberated on the director-general's appointment. Vanuatu had put forward its own nomination for the role, its ambassador to the European Union Roy Mickey-Joy, and insisted that the selection be finalised at the summit. This prompted an exchange between Charlot Salwai and his Solomon Islands counterpart over MSG procedure. At the last minute,the summit was postponed, amid reports that Fiji's prime minister Frank Bainimarama opted instead to attend the Queen's birthday celebrations in Britain. The MSG chairman said the summit would now be held next month, in Port Moresby. Mr Sogavare has also now indicated that he despite his earlier statements, he would allow the formal appointment of a director-general to proceed as originally planned, with a decision to be reached at the summit. The other priority item on the summit's agenda is the formal application for full membership by the United Liberation Movement for West Papua.